It is difficult trying to find which GED prep book is the best. There are so many different features, options and choices to choose between. Passing and receiving your GED can have a huge impact on your life. 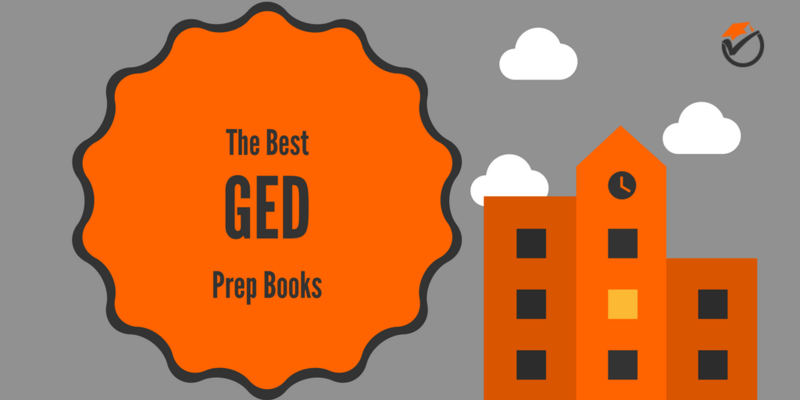 Because of all of these reasons I have created this list of the best GED prep books. All of the info below should make it very easy to choose which study guide is right for you and the best to prepare for the exam. 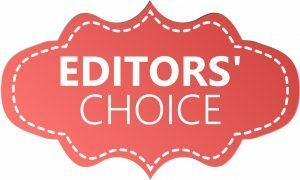 Kaplan GED Test Premier is our best overall study guide on our list of the best GED study guides. This study guide has a copious amount of practice questions and practice tests, more than any other book on our list. This means that you'll never run out of sample problems to get your repetitions in for the test. Practice makes perfect, and no other book gives you as many example problems as Kaplan's. Along with the practice questions, you will get a very comprehensive topic review. This review makes sure that you know everything that needs to be on the exam. Nothing is left out. You will not need to purchase another review book to supplement this one, saving you money. Another major strength of this study book is the diagnostic pre-test. The diagnostic pre-test really pinpoints your strengths and weaknesses. It shows you which areas you need to work on and improve, saving you time. Working on your weaknesses is one of the top ways to improve your score. The one main flaw of this guide is that there are some editing errors and typos within the book, especially in the answer explanations section. These typos may leave you scratching your head in confusion wondering why you got a question wrong when it was really correct. Even with this flaw, this book has many strengths. That is why we rank Kaplan's as our top overall study guide on our list of the top rated GED study books. 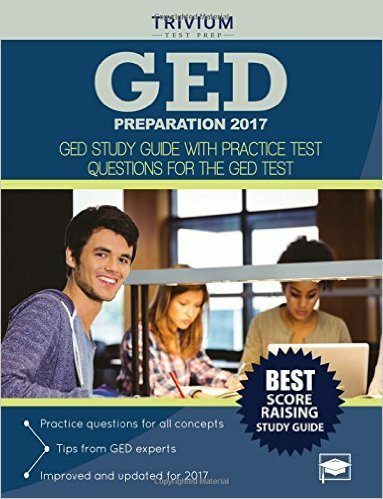 GED Preparation 2017 is the 2nd best overall prep guide on our list of the top GED prep guides. One positive about this review book is that the chapters have very good organization and workflow. It is easy to progress from chapter the chapter and it really makes it simple to study for longer periods of time. Also, the chapters each have a subject specific practice test. The practice tests questions are very exam-like. This means that the questions will be very similar to the ones that you will see on the exam. Also in the book, experts give tips on how to slip past the tricks that the test makers may throw at you. This really eases your nerves on test day knowing that you won't slip up by making simple mistakes. The one main flaw of this study guide is that the concept review is not as in-depth as the first choice on our list. At only 432 pages, this review guide does not have enough length to go over each section in full detail. 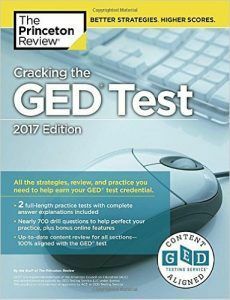 Because of this, we rank GED Preparation 2017 as our 2nd overall study guide on our list of the top rated GED review books. - Sample test questions are very "exam-like"
Cracking the GED is our 3rd best overall study guide on our list of the best GED review guides. With 816 pages, this prep book has enough length to give a comprehensive review on each of the concepts. You will know that you have learned everything that you need to know for the exam. Nothing is left out. Also included in the book are strategies that help you work smarter not harder. These strategies are very useful to save you time in studying and on the exam. Also, the test overview given in the book really makes you feel prepared and ready for exam day. It really eases your nerves knowing that you have covered everything that you need to know for the exam and that you won't have any surprises. One main flaw of this guide is that the practice questions included in the sample exams are not very “exam-like”. You might be surprised on exam day by questions that don't seem very similar to the ones that you have studied for. Even with this flaw, Princeton Review’s strengths make up for it. Cracking the GED is our 3rd overall study guide on our list of the top GED study guides. 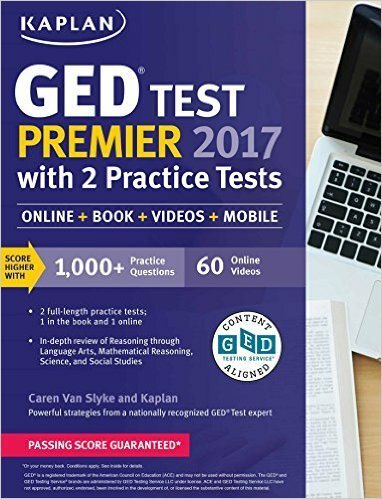 - Some practice questions are not very "exam-like"
Barron's How to Prepare for the GED the 4th best overall study guide on our list of the best GED preparation books. This study guide has a very in-depth and comprehensive topic review. It goes into detail on every exam subject and topic making sure that you have covered everything that you will need to know for the exam. Although the review is pretty comprehensive, it is not as in-depth as other books on this list. Another positive about Barron's is that the practice exam answer explanations are thorough and in-depth. It is really useful to know why you got a question wrong so that you can learn from your mistakes. Learning from your mistakes is one of the easiest ways to learn and this study guide makes it really easy to do that. One main weakness of Barron's is that some of the practice exam review questions but not very exam-like. This means that the sample exam questions are not very similar to the ones that you will see on test day. Some might have different wording or they may be of a different type than the actual exam questions. Because of this we rank Barron's as our 4th overall prep guide on our list for the top rated GED prep books. 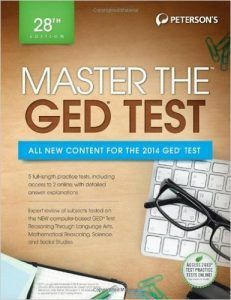 Peterson's Master the GED is our 5th best overall study guide on a list of the best GED review books. At 864 pages, Peterson's is one of the longest study guides on our list. This length really gives it enough depth to really poor into the topics comprehensively. You will cover everything that you need to know on test day and nothing is left out. Peterson's also includes very useful test strategies to use on exam day. These test strategies really help to ease your mind for exam day since you will be prepared and will know what struggles you will face during the exam. The one main major flaw with this book is that the answer key has A LOT of mistakes. These mistakes are very numerous and you really waste your time pulling your hair out in confusion wondering why the answer you really got correct is said to be incorrect. And this happens a frustratingly high number of times. 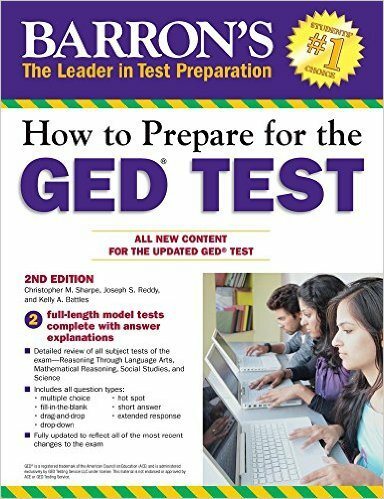 Because of this one major flaw, Peterson's is our 5th overall prep guide on our list of the top GED prep books. Just buy Kaplan's. 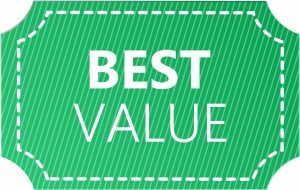 All of the guides are of similar price and this one is the top choice.